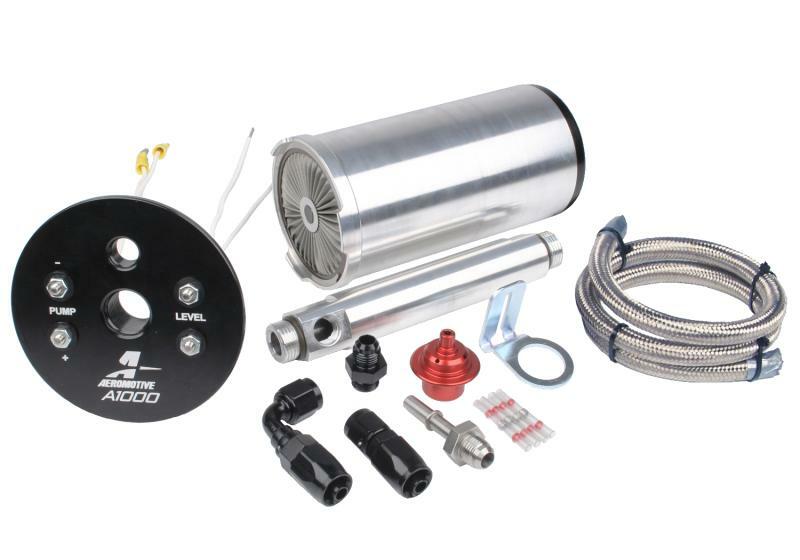 17352 - Aeromotive Stealth Fuel System - MiataRoadster - Stay tuned with MiataRoadster! Finally, a truly universal system that is built for street rods, drag racing, off-road, autocross, drifting and any other performance application you can think of! 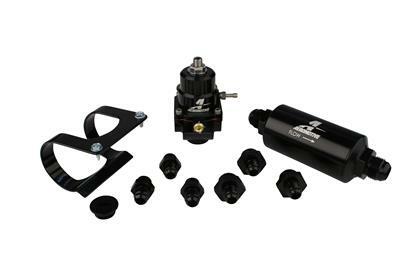 The Aeromotive Stealth Fuel Systems (ASFS) are a complete line of “IN TANK” fuel systems that feature 1 of 2 popular Aeromotive fuel pumps, built right into an aluminum fuel cell or an innovative fuel tank sump box. Choose from the A1000 or the Eliminator Fuel Pump. The new ASFS bring you all the advantages of an in-tank system; quiet cool operation, ideal fuel pump environments and a serious reduction in installation time and investment. In addition, this entire line of ASFS eliminate the risk of fuel pump cavitation due to hard cornering, launching or braking thanks to innovative baffling built into each of these applications. (see cutaway drawing). Aeromotive Stealth Fuel Systems save you time and money and take the guess workout out of plumbing your system. No longer do you have to worry about modifying your factory tank, pickup tubes or small sump boxes. One part number gets you a fuel cell or sumped tank with a high horsepower fuel pump and pre- filter built right in. Simply hook up your two wires and the feed line and your done. The best part… they will work in low HP carbureted or high HP EFI applications, nitrous assisted or supercharged/turbocharged applications. It’s just a change of the regulator. This will be the last fuel pump system you will ever buy no matter how you change the car.